On October 19th, the #ToptalSBR16 road trip comes to Blumenau, right on time for Oktoberfest celebrations. 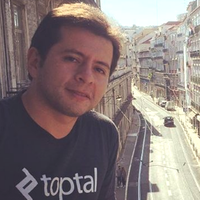 In the middle of this atmosphere, we’ll be having our own celebration, the first Oktobertech, a multi-technology event organized by the Toptal Blumenau team. During the first edition of this event, we’ll have presentations on Docker, programming and best practices, Fintech, and remote work in the Officina coworking space. If you are nearby, please come and join us for this interesting and fun night!